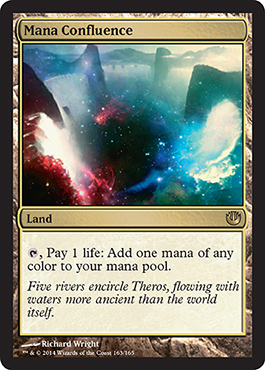 Day 5 of Journey Into Nyx Spoilers. I am definitely looking forward to the release of this set. So you either can cast this beautiful card for one blue mana or you can cast it as an aura on an opponent's creature and control it PLUS give it +1/+1 and flying. It's great for stealing creatures, but pricey. This is a great draw spell, but it is six mana. 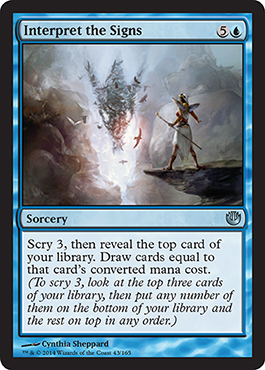 You can Scry 3, then reveal the top card (whatever you choose) and draw cards equal to the converted mana cost of the revealed card (Reminder: X in a mana cost means 0). Another strive card. This will stop any auras deck (unless it involves hexproof creatures). It may cost 4, but you remove everything and EXILE it. Want to get rid of a Rancor in Modern? Use this card. 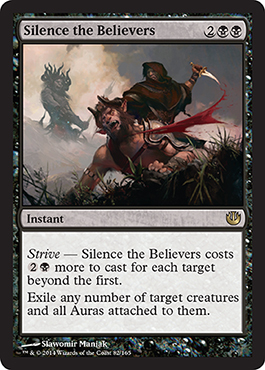 The Strive cost is a bit costly making two targets cost you a total of seven mana, but it should be well worth it based on the ability to exile multiple cards by targeting a single creature. Well, this is a form of tutoring for enchantments. Can't say much about this but I have some plans for limited, maybe. Wow this is great. 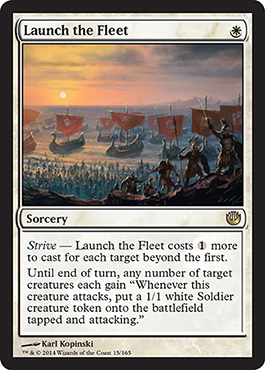 One white mana and strive costs one colorless and you just target creatures so that you get 1/1 soldiers tapped and attacking whenever those creatures attack during a turn. White Weenies is both Standard and Modern just got even better. 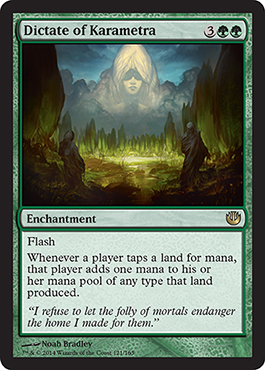 This fits well with Kruphix's mana storage ability. And you can cast it on an opponent's turn which makes it tons better. You effectively can have 12 mana on turn six if you play this on your opponent's turn and hit all your land drops. This is quite good. Also imagine any deck (Modern, EDH, etc.) using Omnath.